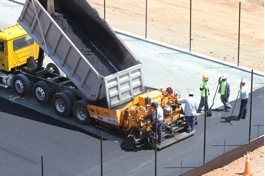 SLIDE is specially formulated to form a microscopic barrier at the interface between bitumen and all hard surfaces. Helps protect against the damaging effects of corrosion. Saves time and money cleaning vehicles, tools, plant and machinery. Safe on all metals, non-flammable and non-corrosive. Simply spray, brush or wipe a thin film of SLIDE onto the surface to be treated.